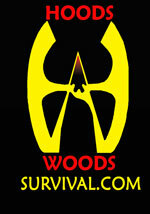 Welcome to the Hoods Woods forum! The Hoodlums Forum is On-line! To enter the forum just hit the Forum button. You will need to register in the forum to post or view messages or add new topics. When you register you will be asked for your email address. After you fill out the small form an email will be sent to you. You must reply to this email using the link provided. Once you reply you will be granted FREE read and write access to the board. We do this so we can exercise some control over postings to the group. Remember, there are people who make a hobby of trying to ruin other folks fun.... Please register and join us! NOTE: When you register pay attention the birth date link. If you choose the wrong link you will be unable to activate your account. Also, if you have a spam filter you will need to approve survival.com or you will not receive the activation email. Notice; Once you have joined the forum please add the forum to your favorites and enter the forum through that bookmark, not through this portal. It is much faster and more direct and it saves us bandwidth on this site.